There are six things you need to do in every stroke you make at the ball, from drive to putt. These constants should appear in your longest drive and a six-foot putt, and every shot in between. 1. Start the club back straight — the body turn takes it inside. 2. Start the through-swing with a gravity move. 3. Have the left hand lead the clubhead into the ball. 4. Hit the shot with both hands — one does not take the major role. 5. Swing through toward the target. 6. Use the 3:1 rhythm. Over the next six weeks, I will explain each one of these points. If you already know what they mean, please start working right away to make them part of the way you play golf. There are certainly more things that need to be done to hit good golf shots consistently, but if you make these your new habits, you’ll be doing a lot of things right. If watching the ball curve left too many times is driving you nuts, try this cure. Maybe it’s all in your grip. It’s possible that you’re doing everything right in your swing and you still hit those draws that get out of control. If that’s so, the reason is likely that your right hand is overpowering your left just before impact, which makes both hands rotate counter clockwise, closing the clubface. Hello, hook. If you have what is called a neutral grip, with the palms facing each other, and the Vs between the thumb and forefinger of each hand point at your right shoulder, keep reading. Your left hand is too weak. It’s in a position where it cannot resist the rotation of the right hand trying to hit the ball. As well, the right hand cannot resist rotating counterclockwise in the effort to hit the ball. Both hands are to blame, so we have to correct each one. First, the left hand. Put your left hand out in front of you, thumb up. Now push gently on the base of the thumb, pushing to the left. You will notice that the thumb rotates away from the push quite easily. This is exactly what’s happening in your swing. The right hand pushes on the left, and the left hand cannot resist. To cure that, Turn your left hand on the grip clockwise, strengthening it, so you can see three knuckles on the back of that hand. Keep the right hand where it is. Do NOT rotate it to match what you did with the left hand. Now, the left hand is acting as a buttress against the right hand. Now push against the left hand, at the base of the thumb, in this position. The left hand does not move because it cannot. Even if your right hand is pushing hard against it, the left hand will hold its position and keep the clubface square. See photos of this grip at A Grip Fundamental. When you try this new grip, rest the clubhead on the ground, take the grip, and look at it to make sure it’s right. Then step up and hit the ball where you’re aiming. Now let’s correct the right hand. We do not have to change the position of the hand, but its action. Reduce the function of this hand to nothing more than holding on to the club. Do not try to hit the ball with this hand. That causes problems that go beyond the point of this article, but what is relevant here is that if it does not push against the left hand, the left hand will not feel the need to push back. Your hands are supposed to be working together to hit the ball, not fighting with each other. If you reduce the right hand to a passive role, you will find that you hit the ball with a squarer clubface, and hit it farther, too. And, it goes straight, which was our primary goal. You really need to know how far you hit your irons so that you can start zeroing in on the pin. Hole-high beats short or long all day. There are several posts in this blog about ways to determine this question. It’s such an important issue, I keep coming back to it. Here’s my latest hot idea that I had fun with one day. Go to the course by yourself. Tee off, and when you get to your ball, decide which club you would use. Take out that club, and one more, such as if you decided a 7-iron would do, take out your 6, too. Hit a shot with both clubs and see which one does better for you. The longer club might not be the better one, but you’ll know, because you tried it, at least from this distance. Write down those results, and do the same on holes that follow. Feel free to drop the ball at different distances from the flag on different holes, if you have to, to get a broad sample of club combinations to try out. Pay special attention to par 3s. You might find you hit the ball a different distance with a given club when the ball is on a tee rather than on the ground. Take advantage of elevated and depressed greens, too. 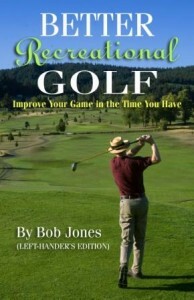 Most golfers know they have to make an adjustment, but how much is something they never figure out. If you do this enough times, from distances where you can compare all possible neighboring club pairs, you will get a good idea of what club to use and when. Having a firm grasp of your iron distances is how you start hitting them close, which is the real key to shooting low scores. How far do you hit your irons? 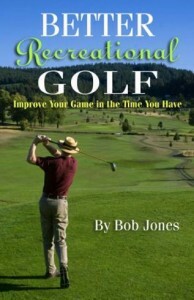 Johnny Miller’s article, “10 Rules for Sticking Your Irons,” speaks to this subject, too. Subtle breaks can easily be read if you know how to look. This new video shows you. See the rest of my YouTube videos at my YouTube channel. 1. Hit the shot as if you didn’t care. I mean just take your swing, without any idea of where the ball is supposed to go, or what trouble might be lurking if you make a mistake. Make a carefree stroke at the ball is about the best I can describe it. The calmness that approach creates allows your body to flow into the swing without tension causing deflections from its proper course. This applies to putting, too. 2. Hit short shots with an easy, flowing swing. 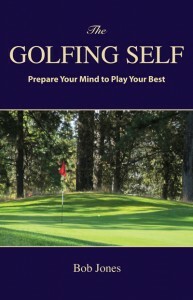 Putting tension in the swing, jabbing at the ball, trying to hit it sharply, all these things are what cause mishits. So does not paying attention to item 1, above. 3. When chipping onto the green, focus on the landing spot. Pick the club that will release from there to the pin, but your target is the landing spot, not the pin. 4. There is nowhere that the idea of having your hands lead the clubhead into the ball will pay off more than with your driver. It seems you are taking all the power away when you do this, but what you are taking away is the powerful feeling of the right hand hitting, which is actually a power drain, and which pushes the clubface out of alignment. 5. Do you use the alignment mark on your ball when you putt? If you line it up with your starting line (and don’t take all day to do that), you will sink more makable putts than you have been, and miss far fewer of those shorties.